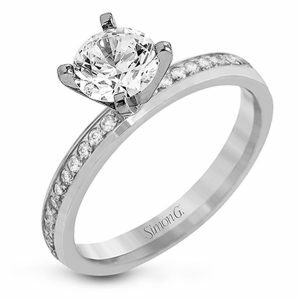 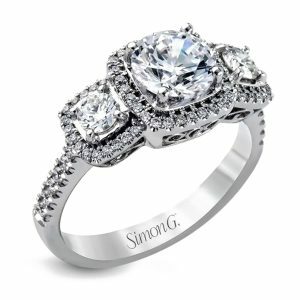 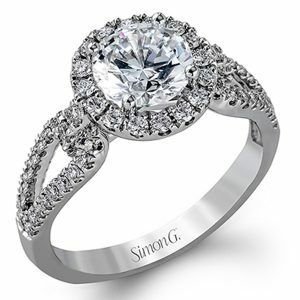 This two tone beauty by Simon G features .23ctw of round, brilliant diamonds that are G/H in color and VS in clarity. 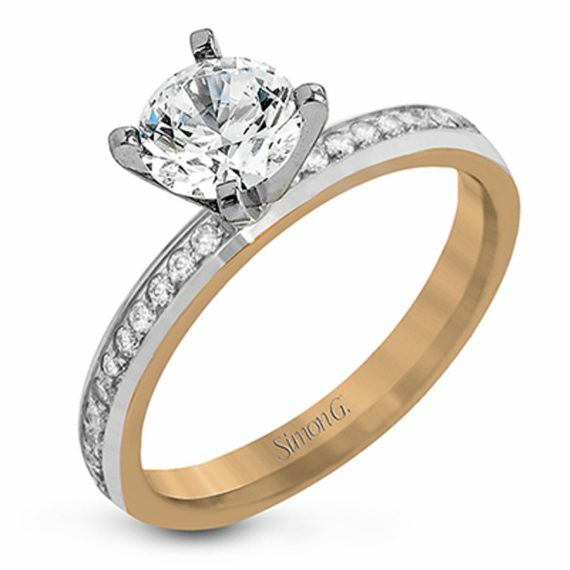 The ring can accommodate a variety of center stone sizes and is available in 18k white, rose, yellow gold and platinum. Shop more Simon G engagement rings. 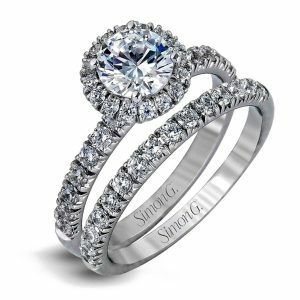 Diamond Details Approximately 0.23ctw round brilliant diamonds. 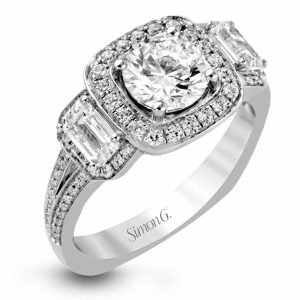 Diamonds are G/H in color and VS in clarity.